In this Fundrise vs Roofstock review, we compare two of the leading online real estate platforms on key criteria like fees, investment minimums, and geographic coverage. At first glance, Fundrise and Roofstock may appear similar because both make it easy for investors to gain exposure to the real estate asset class. But these online real estate sites cater to very different investor aims. Roofstock is best for investors who want to own investment properties while Fundrise is a better match for investors who want to own shares in a company that operates and manages properties. As we compare Fundrise and Roofstock you will see that both companies cater to hands-off investors but in very different ways. 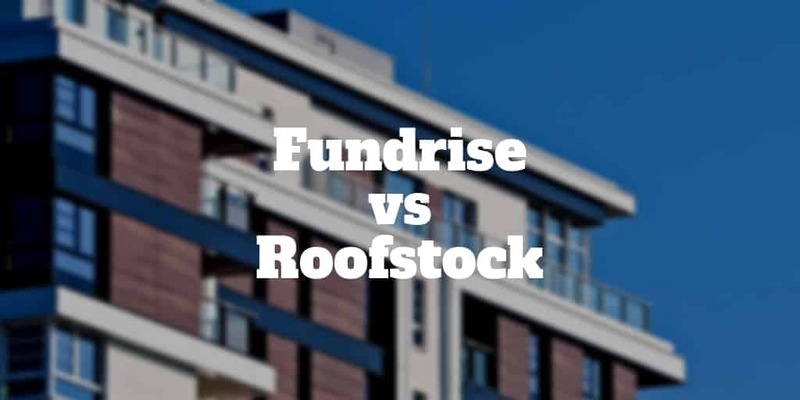 Roofstock vs Fundrise: Which Is Better? Investors who want exposure to real estate will find a match in either Fundrise or Roofstock. Roofstock is a rental property marketplace that offers direct ownership opportunities to investors whereas Fundrise is an online real estate crowdfunding site that pools money from lots of investors who each own a share of a REIT or property fund. The reasons to choose Roofstock or Fundrise are compelling. From the start of the century through 2016, real estate returns were 144% according to Rich Uncles research, while the S&P 500 gained 55% over the same period. While stock market returns vs real estate returns will vary over different time periods, no financial advisor worth their salt would quibble that exposure to real estate offers a way to diversify investment monies away from the stock market. But what is a stock market investor to do if they don’t want to scout for new rental properties, find tenants, and manage them forever more? Enter Fundrise and Roofstock with two very different turnkey offerings that cater to investors’ preferences, whether commercial real estate, residential property, or single-family homes. Roofstock has made buying property 100% online as easy as point-and-click. After you sign up to Roofstock, simply browse single-family home listings in the various markets in which Roofstock operates, from Atlanta to San Francisco. Select a rental property based on the proprietary neighborhood ratings created by Roofstock, as well as location, price, and other key factors that are important to you. Then simply follow the steps online to purchase your property and make your down-payment. Everything is done for you so you don’t even need to visit the property if you don’t wish. From first inspections to selecting a property manager and finding tenants, everything is done for you from start to finish. The eFund is a legal entity that is used to pool monies from investors, buy land and develop properties that are later sold to homeowners. The eREIT is a private real estate investment trust that owns commercial real estate and residential properties under its umbrella. It has a higher minimum investment requirement of $1,000 compared to the $500 required to get started with the eFund. The minimum investment needed to get started on the Fundrise platform is $500 → $1,000 depending on which service you choose. Fundrise has a variety of investment options from eREITs (private real estate investment trusts) to eFunds, which buy land and develop properties. A solo investor who wanted to emulate the Fundrise investment strategy would struggle to find the minimum financing needed unless they had a high net worth. So, the low investment minimums make it affordable to invest in commercial real estate or residential properties. The Roofstock investment minimum is theoretically zero but in reality you will need to make a downpayment to purchase rental property via its marketplace. Investors will need to come up with tens of thousands of dollars or more because they own property outright. For investors looking to get their feet wet for the first time in real estate, Fundrise is probably a better match. However, if you like the idea of directly owning property then Roofstock is the better choice. Fees are charged to buyers and sellers on the Roofstock platform. Buyers pay 0.50% while sellers pay 2.5%. For those fees, Roofstock buyers enjoy cash flow from day one because rental properties purchased already have tenants. Roofstock vets property markets for buyers also, and rates them based on key factors like neighborhood and school district. All single-family home rental properties available on the Roofstock platform are certified and come with a 30-day money back guarantee. Buyers are also introduced to pre-screened property managers who can run the day-to-day upkeep of purchased properties. Fundrise fees are broken into two components: advisory fees and management fees. Management fees are 0.85% on managed assets per year while advisory fees of 0.15% per year are charged. Net of fees, Fundrise performance since inception has been stellar. Roofstock returns are much harder to quantify than those of Fundrise because each investor purchases an individual rental property that may perform differently depending on various factors like location. However, Roofstock does create pro forma financial statements for investors with future projections for every single property so buyers can get a sense of what performance returns might be possible in the future based on a combination of cash flows and property price increases. ✅ 1031 Exchange: Roofstock caters to 1031 exchanges so you already have property you could enjoy tax-deferral on gains. ✅ Geographic Exposure: Fundrise has coverage in all 50 states whereas some states are excluded from coverage in Roofstock listings. ✅ Passive Income: Investors seeking passive income get paid monthly from rental properties versus quarterly from Fundrise. ✅ Commercial Property: Fundrise makes it possible to gain exposure to commercial property as well as residential real estate whereas Roofstock only caters to single-family home rentals. ✅ Liquidity: A secondary market is available so investors who wish to sell rental properties can do so on the Roofstock platform. ✅ Low Minimum: You need just $500 → $1,000 to get started with Fundrise versus potentially tens of thousands of dollars or more to get started with Roofstock. ✅ Direct Ownership: Unlike Fundrise, Roofstock provides investors a way to own property outright. 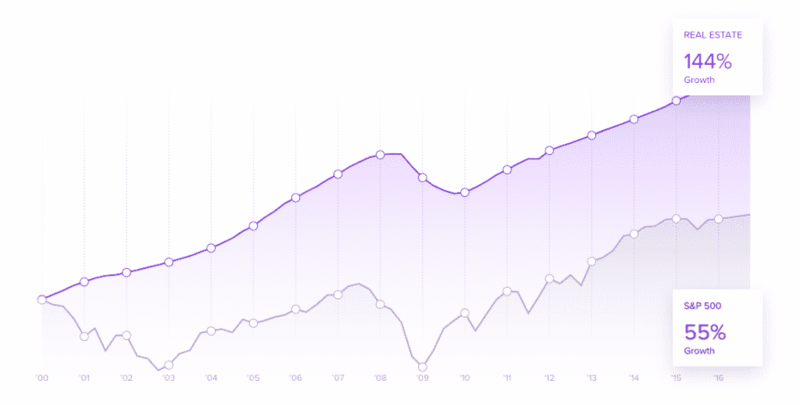 ✅ Performance Returns: Historical performance returns for Fundrise have been excellent. If you are trying to decide between Roofstock vs Fundrise, the decision largely boils down to whether you prefer to directly own property. Roofstock makes it easy to buy property 100% online whereas Fundrise provides investors with shares of private REITs or funds. If you wish to own a broad range of property types from residential to commercial then Fundrise is the better fit whereas Roofstock is better for investors who want to own single-family homes. You get to spread your risk more with Fundrise, not only across property types but also across multiple geographic states. By contrast at Roofstock you will need to place your eggs in one basket: the rental property you purchase. Both Fundrise and Roofstock make it easy to invest in real estate but the minimums to get started are very different. At Roofstock you will need to come up with the funds for a downpayment whereas at Fundrise you’ll need to much less money to get started.